A constituent told me today about his problems in securing adequate care for his wife who suffered from early onset Alzheimers. After several years of coping on his own he sought help from the council and she began to receive her “free personal care”. It began badly with the carer arriving one and a half hours after the agreed time for helping to bath and dress. Difficult experience had long taught my constituent that sticking to a careful routine was essential to the smooth running of the day so he had just dealt with it as usual. When they were on time the carers only came for fifteen minutes. And it was rarely the same carer. The longest came for three days, was just getting to know the household routine, but didn’t come back after that. Alzheimer’s sufferers in particular benefit from continuity of routine and carer. Eventually my constituent phoned up and cancelled the service. About a year after this, he could no longer cope and his wife was found a place in residential care. However he feels strongly that had quality home care been available his wife could well have been able to stay at home for longer which he would have preferred (he now feels bereft of part of his life) and the cost to the council would have been much less. Tales of the short time carers spend with clients and of frequent changes of carer are commonplace. The story in the local newspaper in Edinburgh this week of the brother and sister living neglected and in squalor when supposedly having carers come in for four short spells daily, while fortunately not commonplace, is nonetheless shocking. It is easy to see this particular case as a failure of management by the company providing the care and of monitoring of such contracts by the council. But I would argue this is a failure of a system that is in crisis. “Free personal care” is hailed as one of the “jewels in the crown” of the Scottish way of doing things. But the reality of the last few years is that the quality of care has fallen and it is harder to qualify for a service. The introduction of free personal care (by the Labour/LibDem coalition originally but carried forward by the SNP Government) did not in itself add a single penny into care of the elderly and disabled. What it did was shift responsibility for payment from those who previously had to pay (the least well off had free care before this) to the state – in other words to all of us as taxpayers. So it added to the amount of the Scottish budget needed for ‘care’ without adding anything to the quality or quantity of care. As numbers needing care grow (mainly because of the growth in the numbers of people aged 80+) the amount required just to stand still has increased. By raising the ‘threshold’ for eligibility for care. Most only give help if people meet needs which are deemed substantial or critical. Help for ‘moderate’ needs (often that all important ‘preventative’ help) has disappeared. By raising charges for services which fall outwith the ‘free personal care’ definition e.g. housework services, alarm services. By trying to reduce costs by tendering of services. Here in Edinburgh the last administration (a LibDem/SNP coalition) took the decision to tender out two thirds of its home care services. It quickly announced that it had made substantial savings by so doing. Companies bid low to get the contract. So what gives? Hourly rates of pay, paid travel time for the carers between clients, and training. Caring has never been a well paid job, but it has become increasingly precarious. Not surprising perhaps that turnover is high and job commitment and satisfaction low. This helps to explain the experience of those where the carer is always changing and the standard of understanding of the client’s condition in poor. All of this would be very familiar to anyone in social care or local government south of the border. The reality in Scotland is very little different despite our patting ourselves on the back that we have somehow solved the problem through “free personal care”. This clearly demonstrates the fiction at the heart of the SNP Government. We aren’t living in a care nirvana and the screw is tightening further every year. This lies at the heart of what Johann Lamont said in herrecent speech. Social care is just one of the policy areas where the reality on the ground is very different from the rhetoric. But there isn’t one simple answer. The SNP have leapt on this with glee and announced that Labour will end free personal care (free bus passes, free prescriptions or whatever) and so harm “ordinary” people in Scotland. But people are being harmed by the system we have. We have choices. We can keep “free personal care” but stop pretending it has solved the problem, and genuinely debate how we can restore the quality of service people need. That either means reducing spending somewhere else, or increasing taxation to pay for it. In 1997 the Scottish people didn’t just vote “Yes”; they voted “YES/YES”, the second “yes” being for tax varying powers. Since 1999 no Scottish administration has used this, and it appears that by inaction the current Scottish Government may have made it difficult to use this power. Having discovered the technical problem they have done nothing, it would appear, to rectify it. Would the Scottish people pay a penny on income tax to improve the quality of social care? I don’t know – but we need to start asking the question. Similarly local authorities might want to put to their population the idea of raising council tax by a small amount to help improve care in their area. Council tax is a far from perfect tax (and there is a case for introducing a new higher band to make it more progressive) but that applies to the impact of the freeze as well as to the tax itself. Those eligible for council tax benefit gain nothing from the freeze, which is worth more to those in the higher rate bands than in the lower. Alternatively we could end free personal care and restore means testing of this element of care services (remembering that much else – especially much residential care – is still means tested). This would free up some of the Scottish block grant to invest in improving the quality of services. A word of caution though: this wouldn’t be enough in itself to pay for all the improvement needed. These are all choices. It doesn’t help the argument to frame it purely in terms of “Labour wants to cut your freebies”. For my constituent whose wife is now in residential care, and the old man in the newspaper story who has now died, it is far too serious to do that. Nor does it help simply to assert that “all will be well in the best possible of all worlds” if Scotland had independence. Sorry, but these issues will still need to be faced. Moreover these problems are being faced by people daily now, by people who shouldn’t be having to wait until the Government eventually holds its referendum (and even with a “yes” vote, wait after that for all to be disentangled). They deserve a Government which is opening up the debate and taking steps to tackle the problems now! Sheila Gilmore is Labour MP for Edinburgh East. Follow her on Twitter at @SheilaGilmoreMP. Shelia, how you sell the argument for an increase in council tax will lead to the idea that elderly care is a paid for right, which in turn throws up the disparity question that those who pay more believe their entitled to more.Personally, I think most people would pay a bit more in tax (direct income) to achieve higher care provisions.Clearly the need to raise tax is one that is meet by earnings and the redistribution, at a time when unemployment is on the rise in Scotland a direct income tax rise would be met with horror screams from the business communities, however it’s a time of balance and the offset of lower corporation tax isn’t quite doing it’s creative thing. So I believe that the clarity of the message shouldn’t be mixed in with stealth tax, we need a direct tax increase and yes! a more stringent wealth tax, whether that’s in transactions or mansions or maybe both.Further to the issue of collective tax labour should be asking the likes of “wonga” and pay-day advance centres to contribute part of their “APR” to tax collection.If we want a fairer society we should and must tackle all areas of tax.You just simply can’t put a burden on those who can afford it the least. If Labour wishes to perform a U-turn on its recent manifesto, then thats fine. A brave decision, I have seen it described as. But you shouldnt try to monster the SNP to justify your change of heart, they are carrying out the policies they were elected on. Councils chose what they save money on. Glasgow is reported as wishing to spend £15 million moving statues round the city. That would not be my priority. No-one is trying to monster the SNP. Quite the opposite: when Johann raised the necessity of addressing the affordability of present policies, the Nats cried “betrayal” and “abandoning universal benefits”, monstering her and Labour. As for the SNP carrying out the policies it was elected on: maybe. On Westminster’s money. But the truth is, we cannot afford everything we currently deliver without raising taxes. Otherwise we cut. No amount of Eck’s bluster will change that. And no amount of pretending the Nats are being monstered will change it either. We need an intelligent debate, not slogans and denial. Alex, the truth was we couldn’t afford to create the national health service way back in 1945 but we did and I certainly don’t regret the creation of the health and wealth services. Alex, it’s NOT Westminster’s money, it’s OUR money. people in Scotland do in fact pay personal income taxes, VAT, corporation tax, tax on investments, tax on purchasing property, council tax etc. WE PAY ALREADY, but we give all the taxes to Westminster and get back a small amount to fund a few sectors (e.g. health). I agree we need an intelligent debate about everything., this is about the priorities that the Scottish government feel are important. I would rather the UK spent less on WMD an foreign wars. I would rather the UK made an effort to recover the billions in unclaimed taxes from the multinational companies, I would rather the UK treasure made an effort to recover the 36 BILLION in unrecovered VAT from 2010/2011 ALONE! What is the Labour alternative? Scotland pays more in to the rest of the UK than it receives back: to be precise, it pays 9.6% of total UK taxation and yet receives just 9.3% of UK public expenditure. There is therefore no reason to believe that popular policies that cost public money would be less affordable under independence. Nice graphic which shows that Scotland borrows 17% more than it earns. The UK as a whole raised £553bn in income, but spent £686bn in expenditure. The UK as a whole was therefore £133bn in deficit. That is, 19% of the UK’s expenditure was borrowed. I would suggest that Scotland is in a better way than the UK using your figures. Lewis, if your taxation subs are correct, what percentage of the “GERS” report do you contribute to the 9.6% tax take? I don’t really understand your question but considering I am only one taxpayer, just into 40% taxation bracket, a very small percentage! Of course keep social care at the top of the agenda – if yu are serious about addressing the issues confronting your constituent. However, don’t say the sysyem is broken just to make political points. Instead, look at the practical issues of care providing and continuity, look at charging policies and gather the views of carers and older people themselves. Most of all ask carers and older people like your constituent how they would feel about means-tested benefits because that’s the direction your taking the service down if you follow the Lamont path. Yes consider solutions to improve services and help drive up standards of social care but don’t rubbish an exemplary principle or raise the fears and anxieties of older people just to make a political point against the SNP. I would like to point out that any council that wants to, can increase council tax as they see fit. All it means is they will lose the block of money given to them by the Scottish Government that covered the freeze. I realise that it has been squeezed each year, remaining at £70m each year between all councils but it’s the council’s choice to accept it or abandon it and increase CT accordingly. This might have been easier to implement if you hadn’t backed a CT freeze in the local elections just 6 months ago! Never mind the young people without jobs, access to education & health services. Spend the money on free social care for the elderly! A sick banker shouldn’t get a free prescription; his adult child shouldn’t get a free education but his elderly mother should get free social care. The public aren’t au fait with what’s funded by each area of government. 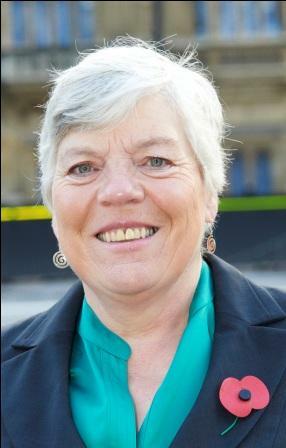 If Johann Lamont’s point was that local councils are strapped for funds, she should have said so. Instead, she indulged in a big speech which looks to the public like irrational cherry picking: Means testing for the young & freebies for the old. Of course the system is in crisis. This dates from the Tories removing much of the geriatric support services out of the NHS and Labour governments doing nothing to reverse this. They continued the underfunding. The SNP have just embraced NATO (surprised me when they had it passed), Labour are now pro-Trident. The money that pays Trident could pay for personal care, bus passes and probably lots of other stuff. Sheila, It’s not a question of Would the Scottish people pay a penny on income tax to improve the quality of social care? This way of putting it exemplifies the problem with our politicians du jour, they are all timid followers, never leaders. You need to actually lead the debate about public policy to have a chance at power, not simply leave it to the public to lead you. If you genuinely believe our services are being damaged by the cuts to the Scottish block grant (as I do) – it is then a question of Would YOU, the Scottish politician, be willing to lead the argument for progressive taxation to pay for our public services? And the danger is, unless the answer to that is a clear yes, which so far it ain’t, coupled with a firm critique and denunciation of the Tory/Lib Dem austerity agenda which put us in this invidious position – then we will just be seen to support cuts, only, ever so slightly different cuts, under Labour. That’s a hopeless prospectus and not capable of overturning the SNP, which has supplanted us in Scotland for exactly this type of political inadequacy.